Prized for their graceful appearance and nearly-citrus smell, these flowers are popular in spring floral arrangements. Traditionally given as a sign of friendship, we may suggest a bouquet of freesia for someone who has preformed gracefully under pressure. 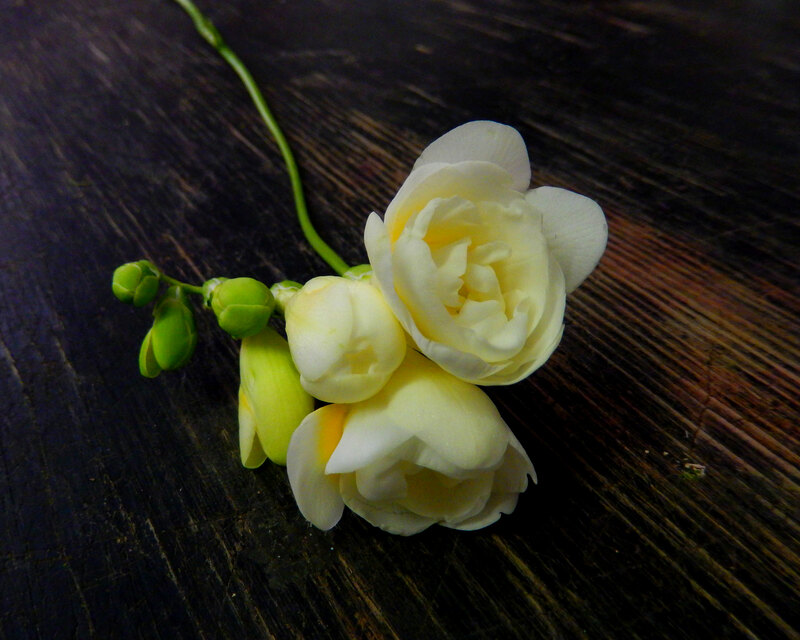 Freesia flowers are “zygomorphic” which just means that they grow along one side of the stem, in a single plane. When you look at a flower stalk however, you’ll see that the blooms are facing upwards. How does this work? Freesias stems have the unusual habit of turning at right angles just below the bottom flower. This causes the upper portion of the stem to grow almost parallel with the ground. The flowers bloom along the top side of the stalk, facing upwards. In 1874, a man named Max Leichtlin found a yellow freesia growing in the Padua Botanical Garden, and he took corms, cultivated them and began to sell them as a potted indoor plant. Freesia flowers made an appearance in England in 1878 and were introduced to America shortly thereafter. Articles about the flower began to be published in horticultural magazines, and breeding of the flower began. Today, freesia flowers can be found in several different colors, and many varieties can be grown in northern gardens during the summer. A study of color distribution among the double freesia recently showed that yellow is the most popular color. The next most popular color was white followed by red, pink, then purple.